Since 1872, Ingersoll Rand has been inspiring progress by driving innovation with technology that improves the way the world works. 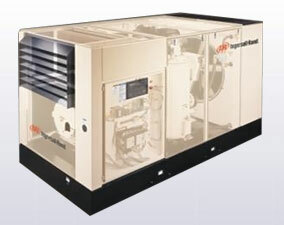 This legacy continued by introducing a new standard for performance and value – rotary screw air compressors. Reliable performance, design simplicity, and minimization of connections. 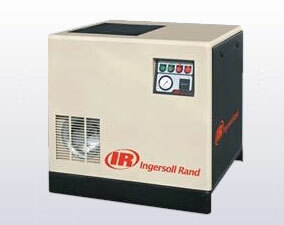 Low sound level, dual control and compact footprint provides operating flexibility. Easy operation with simple user interface and diagnostics. Cost-effective operation and ease of maintenance. Whisper quiet operation as low as 68-69 dBA. Dual control operation: load/no load control with automatic stop and restart facility. Visual indication of operating status and hours run. Poly-V belt Drive system to eliminate belt stretch and increase air input. Higher ambient rating up to 115ºF/ 46ºC. Easy installation & quiet operation. Serviceability through one convenient latched panel on the front og the machine. 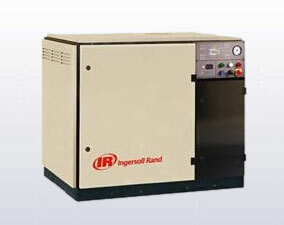 SSR drive train c/w time proven rotary screw airend, intergral gear drive, reliable motor and Intellisys controller. Patented two stage conical baffle separator. Inherent leak free design with SAE O-ring fittings. 8000 hour/ 2 year lubricant. All components are readily accessible behind easily removable panels. Top exhaust facilitating easy ducting for heat dissipation. Easy connectivity with ready pipes and wires.